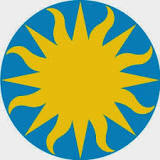 We attended a luncheon today to brainstorm how to get people to better know The Smithsonian — and its mission. They told us to go online to see the antics of Tian Tian, the baby panda. (Here seen rolling in the snow a few days ago). I got home early enough to write our hostess a “Thank You” and get in the same day’s mail. maybe my promptness on the “TY” will make up for my being five minutes late for lunch.